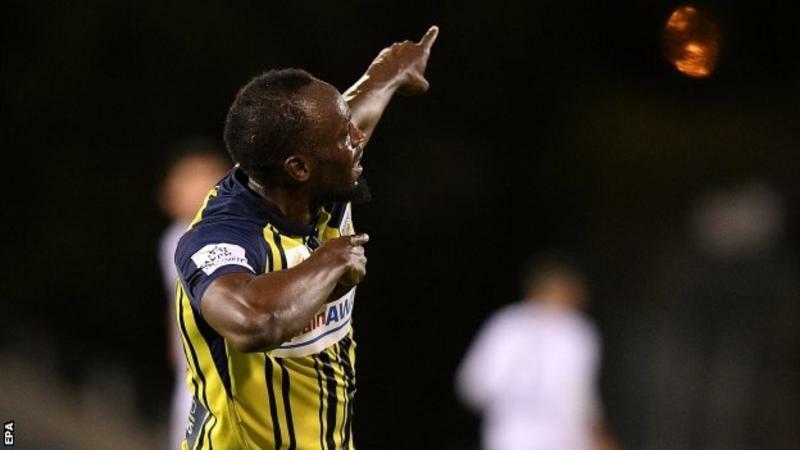 The Jamaican eight-time Olympic sprint champion scored the Mariners' third and fourth goals in a 4-0 win over Macarthur South West and celebrated with his trademark lightning bolt pose. 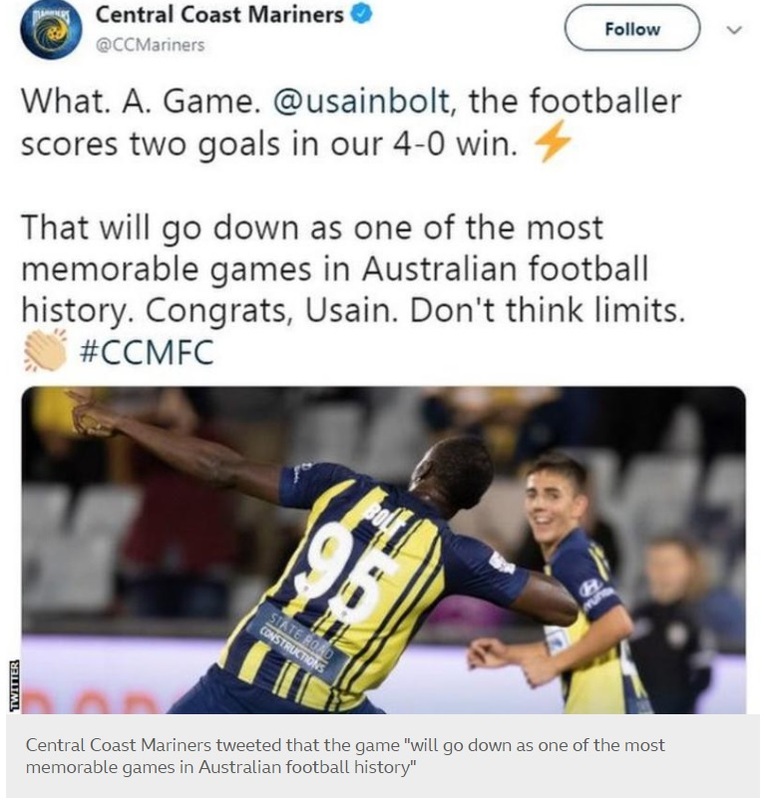 Usain Bolt joined the Central Coast Mariners in August 2018. There were some doubters if he would have been successful the second time around as a professional athlete. The Central Coast Mariners is an A-League club. He has been in an"indefinite training period". The Bolt, 32, said "dreams become reality through hard work". Usain Bolt holds the 100m and 200m world record. He retired from athletics in 2017 and has since said it would be a "dream" to play professional football. Shelly-Ann Fraser-Pryce, return to track and field almost a year after giving birth to her son Zyon D. Pryce. Zyon D. Pryce was born August 2017. She climb back to the top of women's sprinting took another significant step on Saturday July 21/2018 when she clocked for the first time this season 10.98 to win the London Diamond League 100m. "I'm so excited, that is so good," said Shelly-Ann. "I took the time off, I didn't pay any attention to what others said about my comeback". She went on to say, "I continued to work hard and London is definitely the best place and to come here and win, with my first sub-11, is fantastic." The 31 years old added, "I'm used to sacrificing and making sure that my path is right. Being a mother is my first priority and to come back and be flexible with my training is wonderful and I'm so excited about next year now." 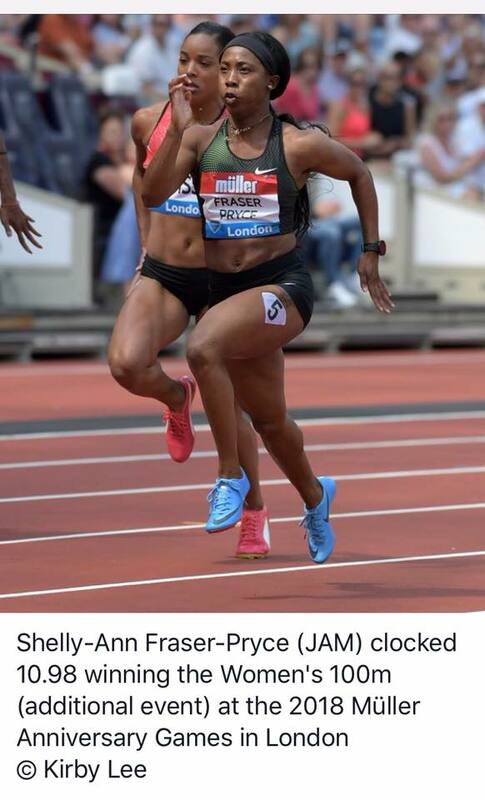 Well done Shelly-Ann Fraser Pryce. 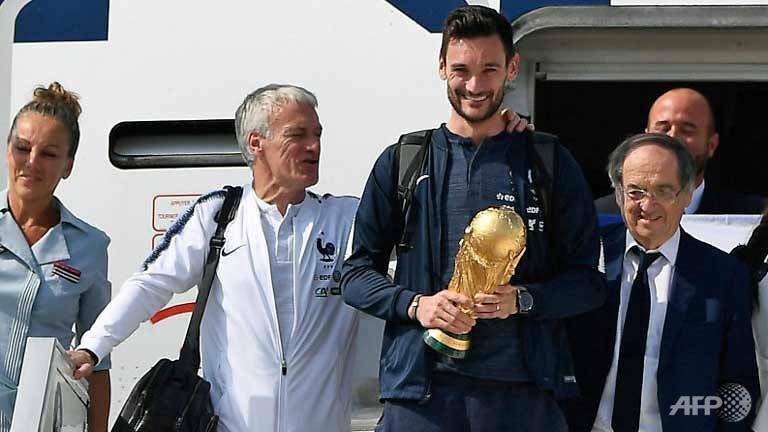 The World Cup-winning French team returned home to a heroes' welcome on Monday (Jul 16), parading down the Champs-Elysees as hundreds of thousands of cheering fans gave a raucous welcome to the country's newest idols. France overcame a determined Croatia to win 4-2 in Sunday's FIFA World Cup 2018 final in Russia. 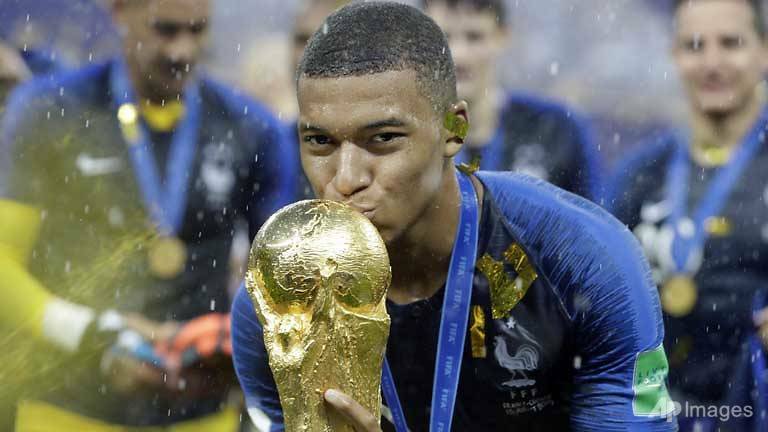 The teenager Kylian Mbappe applying the coup de grace and cementing his place as a new global superstar at the age of just 19. Millions of fans in France then celebrated into the night, honking car horns and flying the tricolour flag while the Eiffel Tower and the Arc de Triomphe were lit up in the national colours of blue, white and red. 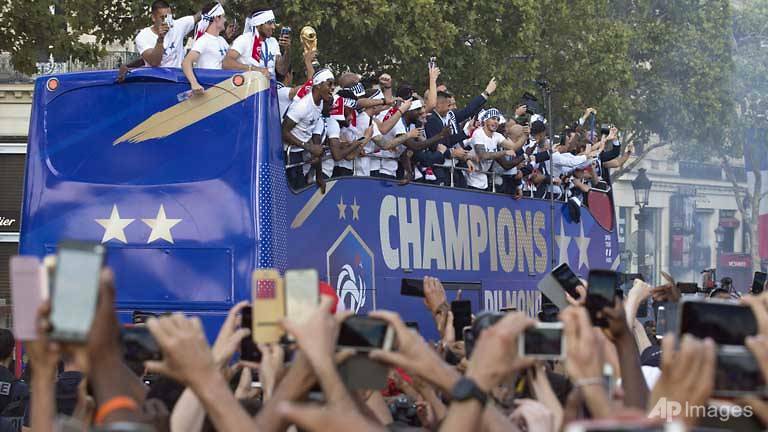 Crowds began converging early Monday on the Champs-Elysees, the gathering point for all national celebrations, to catch a glimpse of a returning squad which has captured the country's imagination. World Championships 2017: Usain Bolt beaten by Justin Gatlin in 100m final. 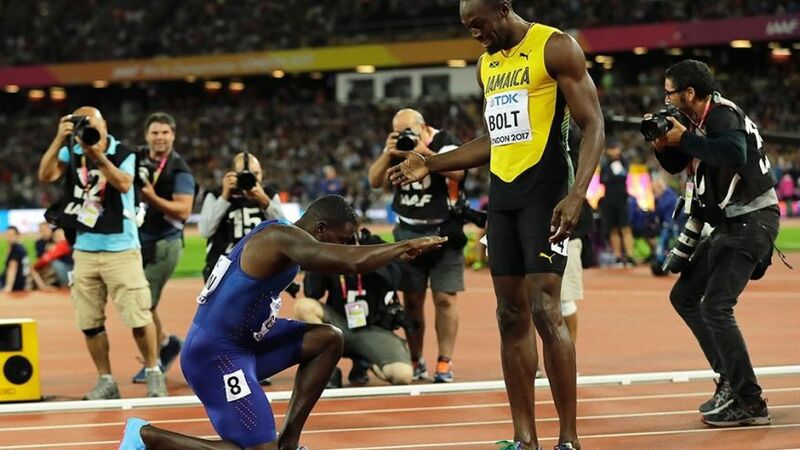 Justin Gatlin tore up Usain Bolt's farewell script as he stole world 100m gold with the run of his long and controversial career. Despite struggling for fitness and form in his valedictory season, Bolt had still been favourite to secure his 20th global gold. Bolt was left with only a bronze in his final individual 100m race as 21-year-old Christian Coleman made it a USA one-two. 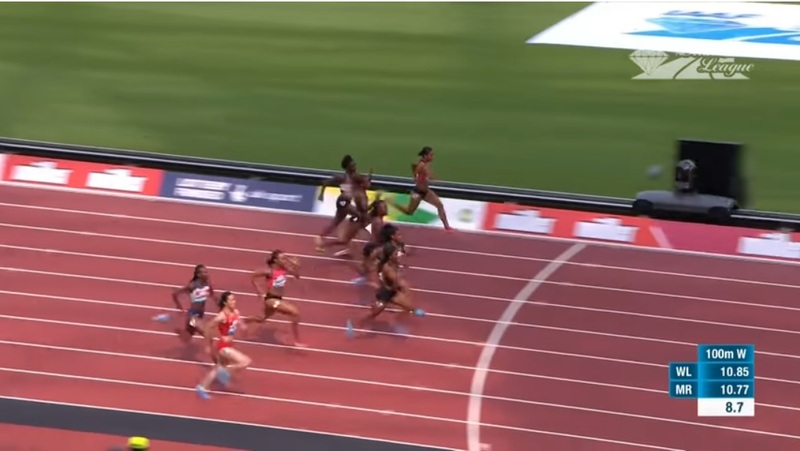 The 35-year-old Gatlin, twice banned for doping, came through almost unnoticed in lane seven in 9.92 seconds, with Coleman's 9.94 holding off the greatest sprinter of all time~Courtesy of the BBC. 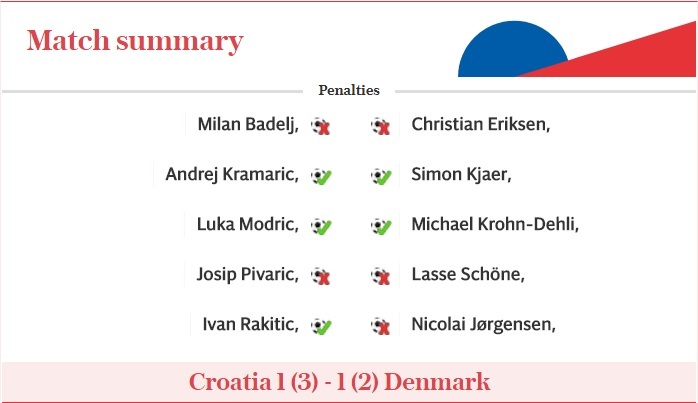 The underdog Croatia has beaten Denmark in a major upset. They are now through to World Cup quarter-finals after dramatic penalty shoot-out victory. 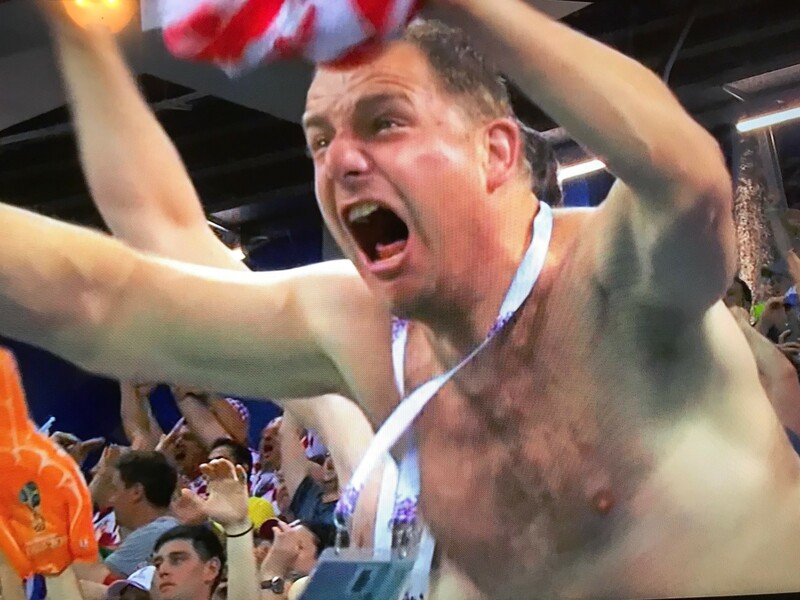 This is the reason the World Cup Football is so excited because it is unpredictable and anyone can win. The full-time match ties with Croatia 1 and Denmark 1. Luka Modric, missed a penalty in normal time. 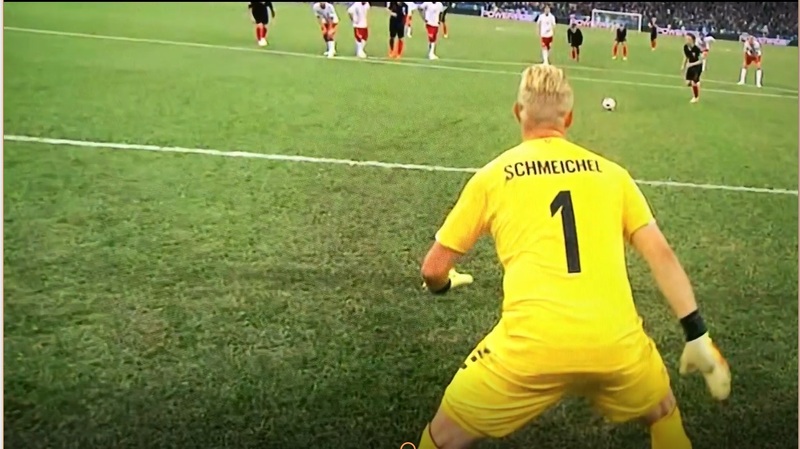 That was an amazing save by the Denmark Goalkeeper Kasper Schmeichel. Croatia players celebrate following their sides victory in a penalty shoot out. Photograph: Richard Heathcote/Getty Images. 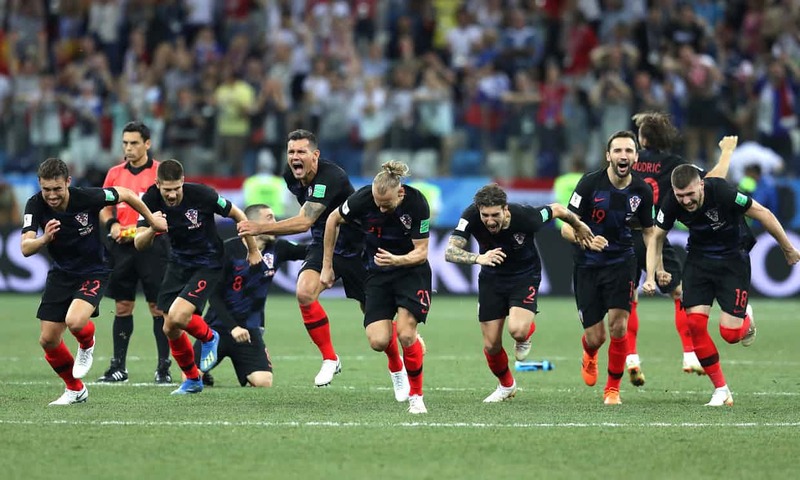 The Croatia Team celebrates as this World Cup proves very unpredictable.